Which series are doing the best? The worst? Wondering how your favorite TV shows are doing in the ratings? Here are the season average ratings of the 2013-14 network TV shows — through the end of week 34 (Sunday, May 19, 2014). 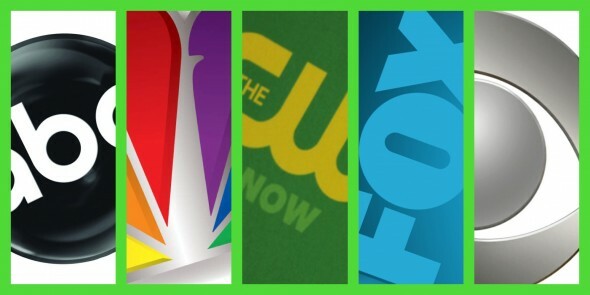 FOX shows (so far): Almost Human, American Dad!, American Idol, Bob’s Burgers, Bones, Brooklyn Nine-Nine, Cosmos: A Spacetime Odyssey, Dads, Enlisted, Family Guy, The Following, Glee, Kitchen Nightmares, MasterChef Junior, The Mindy Project, New Girl, Raising Hope, Rake, Riot, The Simpsons, Sleepy Hollow, Surviving Jack, and The X Factor. there’s a mistake in the newest charts (they are identical)…the “total viewers” chart is not listed correctly.